Draft: 1997, Chicago Cubs, 3rd rd. Married Katie … has three children: Katherine, Harrison and Caroline … attended the University of Kentucky, where he was a Baseball America pre-season All-American and a First Team All-SEC selection as a junior in 1997 … was named to Baseball America's freshman All-America team in 1995 … graduated in 1994 from Pleasure Ridge (Ky.) Park High School, where he was selected as Kentucky's Mr. Baseball. Splilt the season between the Angels and Atlanta, combining to go 4-4 with a 2.49 ERA (12 ER/43.1 IP), 37 strikeouts and 26 holds in 68 appearances … tied for 10th in the major leagues in holds … went 2-3 with a 1.84 ERA (6 ER/29.1 IP) and 18 holds in 43 games with the Angels before being traded to the Braves on 7/29, where he went 2-1 with a 3.86 ERA (6 ER/14.0 IP), 15 strikeouts and eight holds in 25 games … went 4-0 with a 1.57 ERA (5 ER/28.2 IP) at home and 4-1 with a 0.89 ERA (3 ER/30.1 IP) at night … did not allow a run in 15 games (10.0 IP) vs. the American League Central … pitched 17 times with no rest … made 29 consecutive scoreless appearances from 5/5-7/23 (18.0 IP), posting 13 holds while lowering his ERA from 3.27 to 1.24 … earned the victory in his Braves debut on 7/29 vs. Colorado, throwing 1.1 scoreless IP … 14 of his first 15 outings with Atlanta were scoreless, going 2-0 with a 0.82 ERA (1 ER/11.1 IP) … posted a 15.00 ERA (5 ER/3.0 IP) in September, raising his ERA from 1.56 to 2.49 … was not on the Braves postseason roster. Completed second season with Angels and 11th campaign of career with a 1-1 record, nine saves, 24 holds and a 3.15 ERA (45.2 IP - 16 ER)...Matched career high in saves and led Angels' staff with 57 appearances...Opened 2012 season with 21 consecutive scoreless outings (19 IP)...Experienced best first half of career, leading MLB relievers with a 0.30 ERA (30 IP - 1 ER)...Fanned Baltimore's Chris Davis on July 7 to record 500th career strikeout...Missed 20 games from July 28-August 17 on disabled list with a left shoulder strain...Missed four games on Family Emergency List, Aug. 29 - Sept. 1. Signed three-year deal with Angels, Dec 10, 2010 and finishedseason 6-3 with 25 holds, one save and a 1.34 ERA (53.2 IP - 8 ER)in 60 appearances...Set career best with a 1.34 ERA, previous bestwas 1.78 in 2008...Downs' ERA was second among A.L. relievers(min. 30 games)...Six wins tied his career high set with Toronto in2006 and matched win total from previous three seasons combined(6-11)...Registered a 0.35 ERA (25.2 IP - 1 ER) at the Big A, thelowest home ERA in club history (min. 25 games), previously heldby Donnie Moore (1.01 ERA in 1985)...Allowed a run at home inthe eigth inning of game number 159, snapping a 25-inning (27appearances) scoreless streak...Was scored upon in just eight of 60outings...Stranded 28 of 38 inherited runners and Halos went 41-9 in games he made an appearance...Openedseason on 15-day D.L. (fractured big left toe), was activated April 10...Missed 13 games while on the D.L. witha gastrointestinal virus (April 14 - April 29)...Left-handed hitters were held to a .179 clip (15/84) compared to.214 (24/112) mark against right-handed hitters...Wife gave birth to third child Caroline Worthington. In 2010, compiled a 5-5 record with a 2.64 ERA (61.1 IP - 18 ER) in 67 appearances with Toronto...Allowed47 hits (3 HR) while walking 14 and striking out 48...His 67 appearances were third most on club...Recordeda club-high 26 holds on the season which was good for T-3rd in the AL...On Apr. 18 vs. LAA struck out JuanRivera to record the 400th strikeout of his Major League career...Had a club-high scoreless streak of 20.1 IPover 21 games from Jun.10-Aug. 10 where he allowed only 11 hits, walking four and striking out 16 over thatstretch...Also had a scoreless inning streak of 14.1 IP from Apr. 29-May 24...Limited opposing batters to a.211 (47/223) average, with left handed hitters batting .152 (12/79) and right handed hitters batting .243(35/144)...Pitched two scoreless innings, May 7, pitching two-or-more innings for the first time since Apr. 18,2009...Also picked up first win of the season that same day, snapping a three-game losing streak... RankedT-5th in the AL, allowing only .44 home runs per nine innings (min 60 IP), and over the last four seasons ranksfirst in the AL with a .49 total (min 220 IP). In his 5th season with the Blue Jays appeared in 48 games, his lowest total since 2005... SETTING THEPACE: Did not allow a run in 13 of his first 14 outings through May 5... Posted three saves with a 0.59 ERA over that span,holding batters to eight hits and a .143 average in 15.1 innings... Prior to the all-star break recorded all nine of his saveswith a 1.91 ERA, while after the break recorded a 4.91 ERA, going 0-3 in save situations... Allowed runs in only 10 of his48 outings throughout the season... COMFORTS OF HOME: Appeared in 27 games at Rogers Centre, posting six savesand a 2.22 ERA... Held opponents to a .183 avg at home as opposed to .343 avg on the road... DAYTIME BELIEVER: In19 day games, held the opposition to a 2.61 ERA, with only three walks in 20.2 innings... In fact since moving to bullpenfull-time with the Blue Jays in 2006 has posted a 1.47 ERA in 80 day games... LIKES TO WORK: When working on consecutivedays or one day of rest, pitched to a 1.67 ERA in 27 games... When pitching with two days or more of rest, pitchedto a 4.87 ERA in 21 games... DOWN AND OUT: Was placed on the disabled list two days after injuring his left great toerunning to first after batting in interleague play at PHI June 16... Was activated July 8, before returning to the DL on Aug.2 after re-aggravating the toe... Returned to active duty Aug. 24, however his season ended prematurely after suffering ahamstring injury Sept. 16 at NYY. Was 2nd on the club with 66 appearancesand his 1.78 ERA was the lowest on the club... Ranked 5thin the AL with 24 holds... Recorded five saves, a new careerhigh... SCORELESS STREAKS: From May 2-June 29 hada string of 26.0 innings over 26 games without allowing arun, the longest by a Blue Jay in 2008... Also had streaks of17.2 innings and 11.2 innings without being scored on... Ofhis 66 games, was scored on in just eight of those outings...TOUGH ON LEFTIES: Held LH hitters to a .194 avg. thelowest mark on the club... Walked only seven LH hittersholding them to an OBP of .263... RISE AND SHINE: Appearedin 18 day games, and did not allow a run in 19 innings...Allowed only nine hits for a .145 opponents avg.during the day... Did not appear in a game after re-injuringhis right ankle on Sept 13... First suffered the injury on Aug.13 in DET. Marked the first time in his major leaguecareer to go a full season without making a start...ALLEADER: Was T-1st in the AL and led the club with 81 appearancesa new career high...T-4th in the AL with 24holds...Ranked 7th in the AL among relievers with a 2.17ERA, his lowest career figure...BIG TIME LEFTY: His .209opponents average vs. LH hitters ranked as the lowest ofany AL lefty reliever... Ranked 17th in the AL and led theclub allowing only 26% of inherited runners to score(13-50)...TOUGH TO SCORE ON: June1-July 17 had astretch of 22 outings (17.1IP) without being scored on... Itmarked the 2nd longest streak by a Toronto pitcher in2007... Also did not allow an earned run in 10 straightgames from August 10-29...Did not allow an earned run inthe entire month of April (12 games) and June (13games)...Was scored upon just once in each of July (15games) and September (13 games)...His first 15 games ofthe season were scoreless (9.1 IP)...NOTABLES: Sept. 18vs. BOS picked up his only save of 2007, 2nd career...In 12games where he tossed more than one inning he did not allowan earned run (20.2IP)...The more rest between outingsthe more effective he was...On 0 days rest ERA was 3.78 in26 games, 1 days rest - 2.12 ERA in 24 games, 2 days rest -1.80 ERA in 17 games, and 3+ days rest ERA was 0.00 in 14games. Was 6-2, with a 4.09 ERA in 59 appearances (fivestarts)... Was 5-1, 2.77 as a reliever (11th in the AL)... Retired41 of 48 (85%) first batters faced batting avg., ranking5th in the AL... Ranked 2nd in the AL, holding batters to a.134 batting avg. with runners on base, and 3rd, with runnersin scoring position at .111 (relief only... Had a stellar3-1 record with a 1.50 ERA in 20 day game appearances...Finished strong with a 1-1 record, and a 2.70 ERA over thefinal two months of the season, and was 4-2, 2.83 after theAll-Star break... Allowed only one run over his last 13 reliefappearances (14.1IP, 0.63 ERA)...Set a new high with hissix victories and appearances (59)... His ERA of 4.09 is thelowest of his career...Was 1-1, with a 9.39 ERA as a starter,however the team was 3-2 in his starts... Followed his Apr.14 start with a relief appearance on Apr. 16 at CWS(2.0IP)... It marked the 1st time a Blue Jay pitcher startedand relieved in the same series since Dave Bush did it backon Aug. 19 (start) & 21 (relief), 2005 at DET... June 6 at BALpicked up the win in relief... It marked his 1st career win in arelief appearance... Earned the victory in back-to-backcontests (July 15-16 vs. SEA)... Is the 1st Blue Jay to win inback-to-back team games since Brian Bowles in 2002... AtRogers Centre opposing hitters batted .213... On the roadthey batted .293... Appeared in his 100th career game Aug.2 at NYY... Recorded his 200th career strikeout June 6 atBAL. Was 4-3 with a 4.31 ERA in 26 games (13 starts)...Set new career high in strikeouts (75)... Matched inningspitched (94.0)... Started the season with Syracuse (AAA)...Had his contract purchased on May 12. Made his Blue Jaysdebut and the first relief appearance of his career on May 13at CLE (2H, ER, HR)... Was the 8th starter (out of nine) theBlue Jays used... Was the 2nd out of 5 pitchers to be usedin a starting and relief role (Walker, Gaudin, Bush,McGowan)... The Blue Jays were 8-5 when Downsstarted... Won 2-1 on August 11 vs. DET. Was his first win as a Blue Jay and first ML win since Sept. 8, 2004 at CHC (As amember of the Montreal Expos) also threw a season high7.0IP (matched that on 9/2 vs. TB)... Had five consecutivequality starts from August 11 to September 2. Over thatspan was 1-1 with a 2.20 ERA (32.2IP/8ER)... Struck out 59batters over his last 12 starts... September 2 vs. TB, set anew career high with 11 strikeouts... The 11 strikeouts werethe most by a Blue Jay in one game last season and T-2ndall time by a Blue Jays LHP... Led the team with 28 strikeoutsin September... Ranked 1st among Blue Jays startersin strikeouts per nine innings (7.18)... Ranked 2nd amongBlue Jays starters in home ERA (3.53)... Ranks 2nd in BlueJays starters Opp. Batting average (.253)... In 11 home appearances,had a 3.53 ERA. In 13 road appearances had a5.23 ERA... Held opposing batters to a .167 batting averagein May, which tied him for 2nd on the team... Ranked5th in team ERA for the month of May (2.03)... Had a4.30 ERA as a starter, 4.32 as a reliever... In his 13 starts, received63 runs of support, for an average of 4.8 perstart...Was 0-0 with a 4.32 in 13 appearances... May 24 vs.BOS entered the game in the 4th to relieve Bush & worked aseason high 3.2IP (matched the longest outing by a BlueJay reliever)... May 28 vs. MIN worked a perfect 3.1IP (enteredgame in 5th inning)... June 5 at OAK surrendered twohome runs & allowed five earned runs (matched most by aJays reliever in 2005)... Worked 2.0IP or more in nine of his13 appearances. Threw 3.0IP or more in three of those outings...Was 9-for-13 in first batter efficiency... Allowed 1 outof 5 inherited runners to score...Opponents batted .253 offDowns... As a starter, opponents batted .259... As a reliever,opponents batted .237... LH hitters batted .234,while RH hitters batted .262... At Rogers Centre opposinghitters batted .240. On the road they batted .269... Allowed12 home runs (Three to LH hitters, nine to RH hitters)...Was2-3 with a 4.81 ERA in seven starts at Syracuse (AAA)...39.1IP, 45H, 21ER, 5HR, 3BB, 35K. Had contract purchased by Montreal for the first timeon June 25... After four starts was optioned back to Edmontonon July 21... Allowed only one unearned run in 7.0 inningsto earn the win on July 11 vs. PIT in Puerto Rico... Thewin was his first at the big league level since pitching for CHIon July 17, 2000 atKC...Was again recalled on Aug. 26 andwas a member of the rotation until the end of the season...Became the first Montreal left-handed pitcher to earn a winin a starting role since Matt Blank turned the trick in a 10-3win on June 21, 2001 at NYM... Exactly 500 games passedbetween Blank's win and Downs' victory... Scattered fivehits and a walk en route to his first career shutout as the Exposblanked CHI, 6-0, on Sept. 8 at Wrigley Field... Downsfaced the minimum until Aramis Ramirez singled with twoouts in the 8th... Was the first Expos left-handed starter totoss a shutout since Carlos Perez turned the trick on Sept. 3,1997 in a 1-0 victory vs. BOS... Was named Pacific CoastLeague Pitcher of the Year... Also garnered a spot on thepost-season All-PCL Team as a left-handed starter... Wasselected to pitch in July 14 Triple-A All-Star Game inPawtucket, but did not attend, as he was pitching in the bigleagues... Finished with a 10-6 record and a 3.52 ERA in 22starts for Edmonton... With Edmonton he went 4-0 with astellar 0.62 ERA (2 ER/29.0 IP) in four starts for the Trappersin June to earn his first big league promotion since 2003...After three weeks with the Expos, was optioned toEdmonton on July 21. Downs was optioned to Edmonton on March 14...Was recalled by the Expos on Aug. 8... Optioned back tothe Trappers on Aug. 20... Pitched in only one game for theExpos, but returned to the big leagues for the first time sincethe 2000 campaign. Downs experienced a delay in starting his 2002 season,as he continued his recovery from left elbow ligamentreconstruction in 2001... Was placed on the 60-day disabledlist March 27 for rehabilitation purposes... Began aninjury rehabilitation assignment with Brevard County (A)May 16... Had his injury rehabilitation assignment transferredto Ottawa (AAA) June 1 and reinstated from the60-day DL June 10, while being optioned to Ottawa... Wasplaced on the Lynx seven-day disabled list on Aug. 4 with aright oblique muscle strain... Would not pitch for theremainder of the season. Downs was sidelined the entire 2001 season... Wasplaced on the 15-day disabled list on March 23 and transferredto the 60-day DL on March 31... Underwent elbowligament reconstruction by Dr. James Andrews at Birmingham,Alabama... Spent the summer in rehabilitation at theExpos complex in Jupiter, FL. Made ML debut on April 9 at CIN...His first strikeoutvictim was Barry Larkin in the first inning... On April 15 vs.FLA at Wrigley Field, picked up his first ML win in a 4-2 decision...In the process, became the first left-handed startingpitcher from the Cubs' farm system to earn a win for the clubsince Jamie Moyer's nine-win season in 1988... First ML hiton April 25 at HOU (single off Shane Reynolds). Saw action with four minor league clubs and went13-2 with a 2.35 ERA in 28 games... Opened the year withMinnesota's New Britain (AA) affiliate and had no record insix games (three starts)... After being reacquired by theCubs' organization on May 21, he went to Daytona Beach(A) and was 5-0 with a 1.88 ERA in seven starts... Was promotedto West Tennesee (AA) on June 29, going 8-1 with a1.35 ERA in 13 games... Was an honorable mention selectionto Baseball Weekly's minor league all-star team. Spent the 1998 season at Daytona, starting 27games and going 8-9 with a 3.90 ERA. Made 10 starts during his first pro campaign, seeingaction at both Williamsport (A) and Rockford (A). 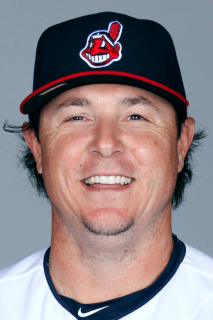 March 30, 2015 Cleveland Indians released LHP Scott Downs. December 20, 2014 Cleveland Indians signed free agent LHP Scott Downs to a minor league contract and invited him to spring training. December 20, 2014 LHP Scott Downs assigned to Columbus Clippers. October 30, 2014 LHP Scott Downs elected free agency. October 30, 2014 Kansas City Royals activated LHP Scott Downs. September 30, 2014 Kansas City Royals reassigned LHP Scott Downs to the minor leagues. August 28, 2014 Kansas City Royals activated LHP Scott Downs from the 15-day disabled list. August 12, 2014 Kansas City Royals placed LHP Scott Downs on the 15-day disabled list retroactive to August 3, 2014. Stiff neck. July 6, 2014 Kansas City Royals signed free agent LHP Scott Downs. July 3, 2014 Chicago White Sox released LHP Scott Downs. June 26, 2014 Chicago White Sox designated LHP Scott Downs for assignment. January 2, 2014 Chicago White Sox signed free agent LHP Scott Downs. October 12, 2013 Atlanta Braves activated LHP Scott Downs. October 2, 2013 Atlanta Braves reassigned LHP Scott Downs to the minor leagues. July 29, 2013 Los Angeles Angels traded LHP Scott Downs to Atlanta Braves for RHP Cory Rasmus. September 1, 2012 Scott Downs roster status changed by Los Angeles Angels. August 27, 2012 Los Angeles Angels placed LHP Scott Downs on the bereavement list. August 18, 2012 Los Angeles Angels activated LHP Scott Downs from the 15-day disabled list. July 31, 2012 Los Angeles Angels placed LHP Scott Downs on the 15-day disabled list retroactive to July 28, 2012. Strained left shoulder. April 29, 2011 Los Angeles Angels activated LHP Scott Downs from the 15-day disabled list. April 22, 2011 Los Angeles Angels placed LHP Scott Downs on the 15-day disabled list retroactive to April 14, 2011. Gastrointenstinal virus. April 11, 2011 Los Angeles Angels activated LHP Scott Downs from the 15-day disabled list. April 7, 2011 sent LHP Scott Downs on a rehab assignment to Inland Empire 66ers. March 29, 2011 Los Angeles Angels placed LHP Scott Downs on the 15-day disabled list retroactive to March 22, 2011. Left big toe fracture. December 10, 2010 Los Angeles Angels signed free agent LHP Scott Downs. November 7, 2010 LHP Scott Downs elected free agency. August 24, 2009 Toronto Blue Jays activated LHP Scott Downs from the 15-day disabled list. August 18, 2009 sent LHP Scott Downs on a rehab assignment to Dunedin Blue Jays. July 8, 2009 Toronto Blue Jays activated LHP Scott Downs from the 15-day disabled list. June 18, 2009 Toronto Blue Jays placed LHP Scott Downs on the 15-day disabled list retroactive to June 17, 2009. Sprain of the big toe on his left foot.